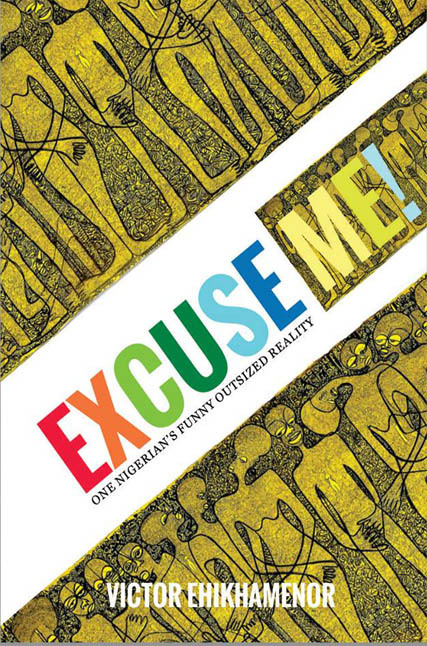 EXCUSE ME is a compilation of Victor Ehikhamenor thoughts, experiences, and keen observations while he was the pioneer creative director of Next newspaper. Most of this beautifully strung together collection of creative nonfiction were first birthed on the pages of the Lagos-based newspaper, Next Daily, Next on Sunday and 234NEXT.com between 2009-2011. Majority of the content were informed by actual socio-political events that took place during that period, plus more. Also interesting are Ehikhamenor’s illustrations and drawings presented throughout the book, especially those in the middle of the book that were done during morning editorial meetings. Look beyond these doodling, and you have crucial insight into the élan thinking of the minds behind the short-lived dynamic newspaper. During some of the crucial early editorial meetings at NEXT, Ehikhamenor would draw on the printed minutes while listening or contributing to how they would shape the future of the newspaper. It is also important to note that the drawings kept him awake during the 10 AM mandatory meetings, after long hours of work the previous day. While some people may regard NEXT as a media house, Ehikhamenor strongly believed it was an institution of higher learning. As a regularly widely read columnist and a member of a dynamic group of forward thinking and high achieving individuals, NEXT newspapers provided a new platform for the writer and artist to examine Nigerians and Nigeria at a close range. Victor Ehikhamenor was born in Udomi-Uwessan, Edo State. He graduated from Bendel State University, Ekpoma (now Ambrose Alli University) with a BA degree in English and Literary Studies. He also holds an MS in Technology Management from University of Maryland, University College, Adelphi; and in 2006 the department of English at the University Of Maryland, College Park awarded him a fellowship/scholarship to pursue a Masters of Fine Art in Creative Writing.